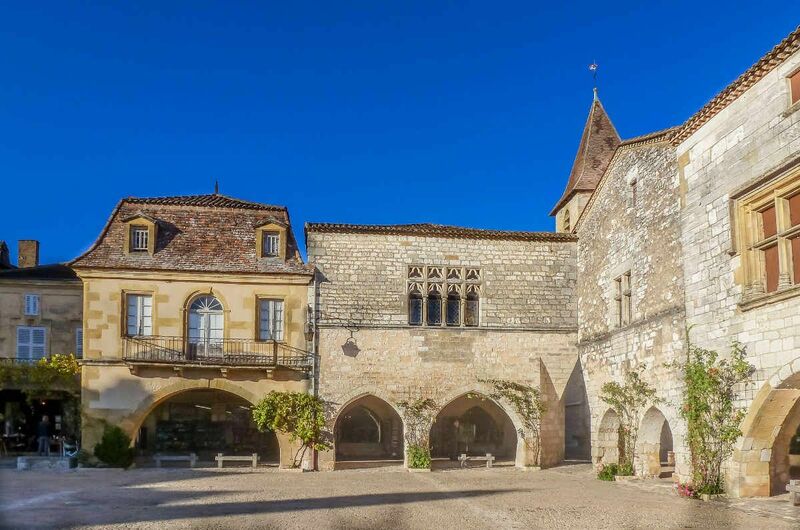 The department of Lot is a land of beautiful landscapes, made up of green fields, oak forests, vineyards, farmland, historic hill-top Bastide towns, dramatic gorges and slow moving rivers. Largely unspoiled and unknown to many people this area is well worth discovering and exploring. Situated in South West France between Bordeaux and Toulouse the Lot experiences hot dry summers and cold dry winters. The region has a micro climate that is warmer and drier than the neighbouring regions like the Dordogne or the Limousin and is characterised by warm late autumn months. The Lot department is packed with amazing markets, full of fresh produce, where you can stock up for lunch and dinner. It is proud of its fine, local produce – its cuisine is famous throughout France and beyond. Local specialities include dishes based on duck, goose, foie gras, endless varieties of wild mushrooms, truffles, peaches, apricots, plums, peaches and walnuts whose oil is used for cooking. The deep red wines of Cahors, raised on these stony hillsides, were known to the Romans and you will find some of the best vineyards only 15 minutes away from us. I could go on and on with this list. Why not see for yourself and discover this beautiful part of France!